Rhythm Biosciences is interested in developing and commercialising Australian medical diagnostics technology for sale to national and international markets. For Rhythm Biosciences, ColoSTAT™ is the first proposed product-in-development, intended as a test for the accurate and early detection of colorectal cancer. Whether used as a ‘first-step’ screening test or in the triage of persons with a positive FIT to colonoscopy, ColoSTAT™ could play an important role in reducing the morbidity, mortality and healthcare costs associated with colorectal cancer. ColoSTAT™ is envisaged as a simple, affordable and effective diagnostic ‘first step’ test to augment any national, state or philanthropic screening programs. This test may be of value to those people who are at risk of developing colorectal cancer, particularly those who choose not to participate in standard screening programs for various reasons. In an interview with OnMarket, CEO Trevor Lockett discussed Rhythm Biosciences’ first product in development, ColoSTAT™. 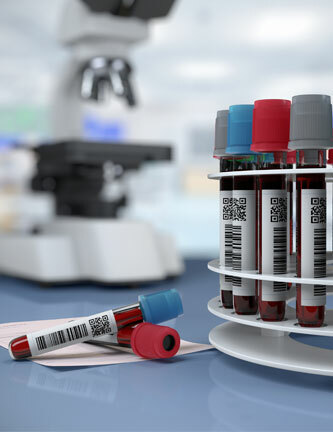 A simple, patient-friendly blood test being developed to save lives through the accurate and early detection of colorectal cancer. Watch the video below for the highlights of the interview.